Offering over 35,000 products on a sales surface of 3,000 m², Hundemaxx is Germany's largest chain of dog supply stores. Hundemaxx is Germany's largest chain of dog supply stores. With a huge product range consisting of over 35,000 products on a sales area of 3,000 m², Hundemaxx is unique. We also sell our entire product range through our online store when stores are closed, and we provide customers with a product catalog online. Having gained 10 years of experience and acquired 10,000 loyal customers in Munich and Nuremberg, we now plan to expand our business to other major cities in Germany. Over the past few years, Hundemaxx has been generating constantly growing revenues. Last year, our company’s gross revenues surpassed €6 million. We now want to expand our successful business model to additional major cities in Germany and to create the structures necessary for this expansion. To raise funds for our planned expansion, we are offering a venture loan (a subordinated loan with a fixed interest rate). This loan bears annual interest of 8 % and has a loan period of 4 years. Interest will be paid out semi-annually, and the loan amount will be repaid in full at the end of the 4-year period (bullet loan). Over the past few years, dogs have become increasingly important to people. Indeed, the former guard dog or hunting dog has become a much-loved family member that lives inside the house and is affectionately cared for, fed, and groomed. In some cases, dogs are even allowed to sleep in their owner's bed. When a family adopts a puppy, this is a highly emotional event. This is pretty much what Hundemaxx initiators Frank Weber and Nadja von Elm-Weber experienced when Rhodesian ridgeback puppy Samba moved into their house, which had been cats' territory for 15 years. Frank Weber soon recognized that a huge growth market was developing in this highly emotional environment. The existing discount stores for pet supplies, however, offered only a very limited product range. There was simply no way of buying the entire range of innovative and new dog supplies and new food brands with organic ingredients or a quality similar to that of human food. The Hundemaxx concept has proved to be a success. Since the opening of our first store in 2006, revenues have increased more than sixfold (from €800,000 to €6 million). 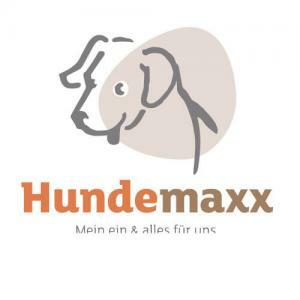 Hundemaxx is currently operating two stores in southern Germany (in Munich and Nuremberg) and an online store selling products throughout Europe. Still, Hundemaxx does not rest on its laurels. The Webers founded the first Hundemaxx megastore in Nuremberg in 2006. One year after that, Kerstin Auschra joined Hundemaxx and, in collaboration with a highly motivated team, laid the foundations for the company's success. All team members had one thing in common: They had a heart for dogs and wanted to provide customers with the best service possible. Ever since its foundation, Hundemaxx has been setting new standards in terms of product range and customer-friendly service. We are always offering the latest product trends, regional labels focusing on sustainability, organic products, well-trained dog experts, event shopping, and a holistic perspective on dog's needs based on our close collaboration with dog trainers, physical therapists, health care professionals, and dog groomers. In addition, our "department store for dogs" is offering a broad range of seminars, thus acting as a competence center relevant at the national level. To ensure that Hundemaxx will remain the number-one player within our market segment, we will continue to expand our online store and better connect it with our brick-and-mortar stores. We will also optimize our customers' shopping experience through digital media and first-rate product presentation in stores. Moreover, we will create new structures and prepare for our expansion to other major cities like Berlin, Hamburg, Cologne, Stuttgart, etc., thus enabling dog lovers throughout Germany to enjoy the Hundemaxx shopping experience. Hundemaxx is currently operating two stationary megastores in Munich and Nuremberg with a sales area of 2000 m² each and an online store at www.hundemaxx.de. With over 35,000 different items, Hundemaxx is offering the largest product range in Germany. Our product range includes, for instance, dry and wet food, food supplements, collars and leashes, dog apparel, dog beds, vehicle accessories, toys, training items, and grooming products. We are constantly adding new and innovative products discovered by our product scouts to our range. Some of our customers make long trips to go to our stores, so our stores cover areas with a radius of more than 100 km. Hundemaxx pays attention to offering both quality products and the right products for all budgets. There are more than 8 million cats in Germany. We have considered this fact, which is why we have integrated Katzemaxx, a separate department for cat supplies, into the sales area of Hundemaxx. With a sales area of approx. 400 m², Katzemaxx is a paradise for all cat lovers. In our Katzemaxx departments, we are offering customers a wide range of appropriate and healthy cat food, toys, scratchers, and various other cat supplies. Our company generates most of its revenues through our two stores in Munich and Nuremberg and through our online store. Roughly 95 % of our company's revenues are due to offline sales, and roughly half of these offline sales are due to the sale of dog and cat food; the other half is due to the sale of accessories. Hundemaxx is the only retailer of this size specializing exclusively in dogs. With 35,000 products, we have by far the largest and most diversified product range in Germany. Other pet store chains, on the other hand, are offering only around 5,000 to 7,000 products. Our competitors' product range consists of food and accessories for all kinds of pets, including fish, and often also of live animals such as rodents and reptiles. Many dog owners and animal lovers, however, oppose the sale of live animals as a commodity. Hundemaxx benefits from this fact because we do not sell any live animals. Because we are specializing in dogs, dog owners consider us more competent than our competitors offering products for all kinds of pets. We place special emphasis on our staff's training and own experience with dogs. In fact, these two aspects are crucial to our hiring policy. Dogs are always welcome in our stores and may accompany their owners. Our staff provides advice based on each dog's individual needs and helps customers' dogs try on dog apparel, harnesses, and muzzles. We purchase our goods from more than 200 different suppliers. These include all major players from the industry, such as Hunter, Trixie, Karlie, Wolters, Hagen, Rinti, Royal Canin, Happy Dog, Bosch, and Flexi, as well as many independent and innovative brands like Terra Canis, Platinum, Wolfsblut, MiaCara, Treusinn, Ruffwear, and PlanetDog. For our suppliers, we are an important and valued business partner. Many independent brands value Hundemaxx for the opportunity to offer their products to a large customer base in a professional context. Hundemaxx has more than 10,000 regular customers with a loyalty card. The average purchase value is €36 in our stationary stores and €60 in our online store. Every year, 160,000 customers come to our stores, so we have approx. 280 customers per store every day. Our target group consists of committed and active dog owners who consider their dogs family members and integrate them into their recreational activities. Of all customers in our stores, 80 % are female and 20 % are male. The majority of customers are between 30 and 60 years old. We believe our market is one of the future growth markets. From 2000 through 2012, the number of dogs in Germany steadily increased from 5 million to 7.6 million, which is why our industry has also experienced steady growth rates. Moreover, there is a tendency toward high-quality products, and people are increasingly willing to spend much money on pets. What Is the Current Status and What Will Be Next? Redesign of our website and online store and perfect integration into our offer in stationary retail. In addition to the option of shopping online, this will provide customers with a digital product catalog, that is, an information and communication platform for our customers. Our stores' existing lighting systems, which consist of tube lighting, lead to monotonous and uniform lighting of the sales area. In Munich, we are still using conventional fluorescent tubes with high energy consumption. In our Nuremberg store, the LED tubes have lost more than half of their luminous intensity because they are over five years old. Consequently, we plan to replace our old lighting systems completely and to install lighting rails with LED spotlights. In this way, we will ensure a much livelier product presentation. By using LED lamps, we will be able to reduce electricity costs in our Munich store by over 50 %.